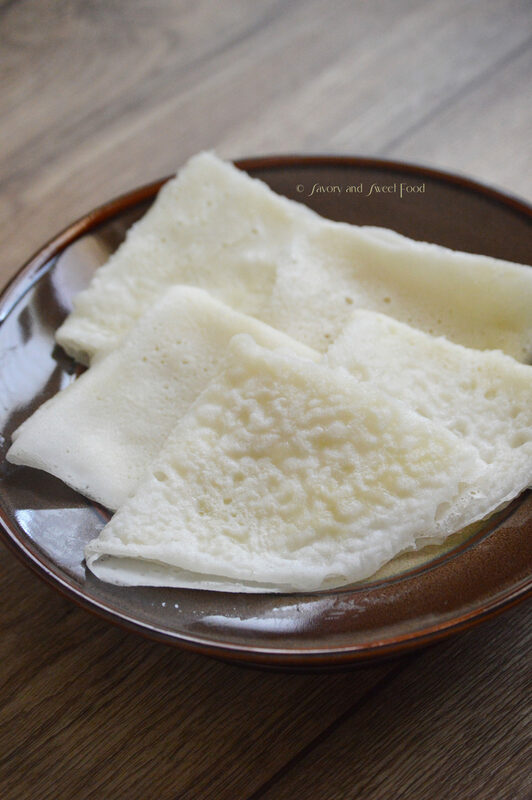 Soft, thin and light crepes made out of rice flour and cooked rice. Now you know what to do if you have left over rice. 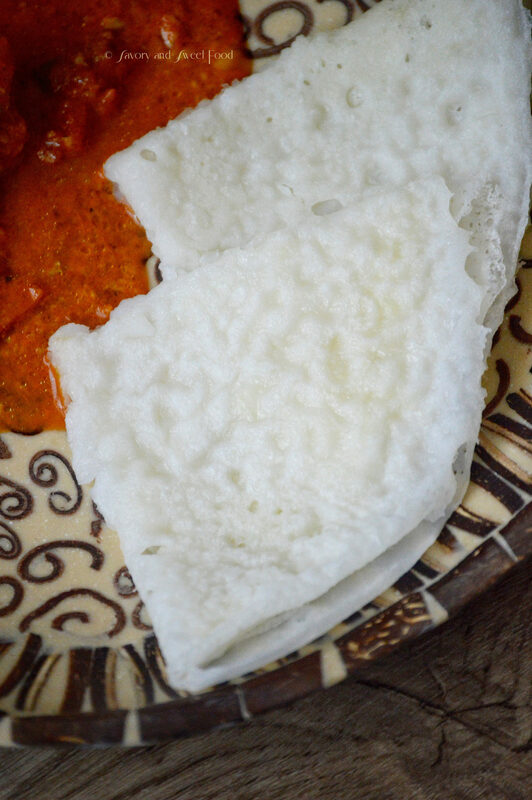 Making this rice dosa is almost like preparing those instant dosa as this one requires no fermentation or presoaking of rice. You can make these crepes whenever you are in a mood for it, yeah but you will need cooked rice. That I am sure most of you will have left over rice, or else cook extra rice and store in fridge so that you can use it for this dosa. So here goes the recipe. Hope you will like it. 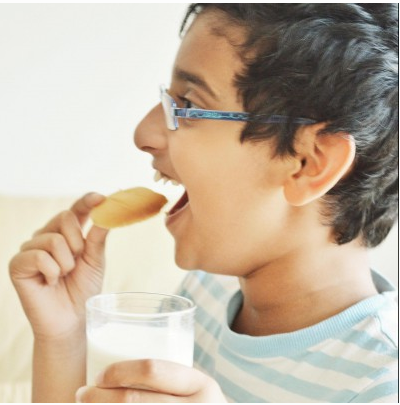 Make sure that you mix the batter well before pouring it into the pan each time. The dosa has to be thin. Do not try to fill the gap with extra batter, it will give thick blobs of batter in those areas. If you are using cast iron skillet, make sure that you grease the pan very well each time you pour the batter. Make sure that the pan is hot while pouring the batter. Add cooked rice, rice flour and 2 cups of water into a blender/grinder and grind it till smooth. Transfer this into a bowl and add salt. Add remaining water and mix well. (The batter has to be quite loose). Heat a non-stick pan. Once the pan is rolling hot, lower the heat and pour a ladle of the batter onto the pan. Hold the handle of the pan and swirl the pan so that the batter spread evenly through out the pan. Increase heat to medium high and let it get cooked. Pour few drops of ghee all over the dosa. Let the dosa get cooked completely. You can cover the pan with a lid at this point. Once it is done, the dosa will start leave the sides of the pan. You do not need to flip this dosa. Transfer this to a bowl and add salt. Add remaining water and mix well. (The batter has to be quite loose). For so long i was looking for a rice dosa recipe. You are most welcome Safa. Please do try it out. 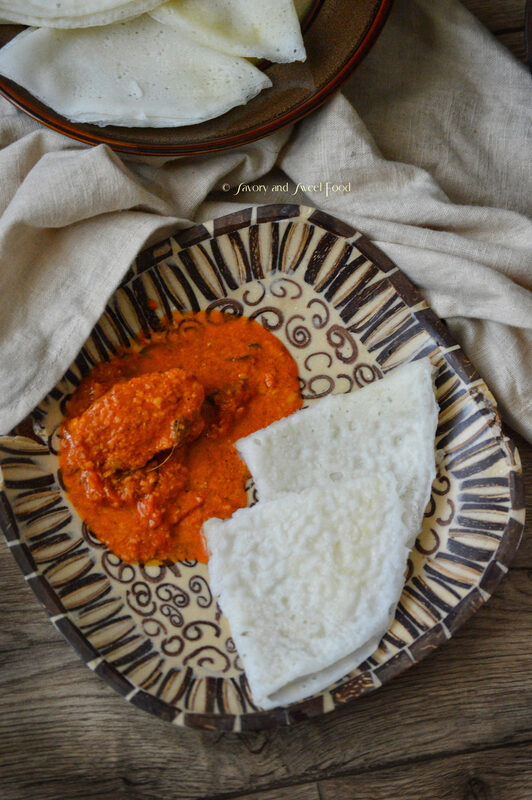 This looks yumm and easy.. thanks for the recipe dear 🙂 What’s that curry u served? Thank you Aysha. 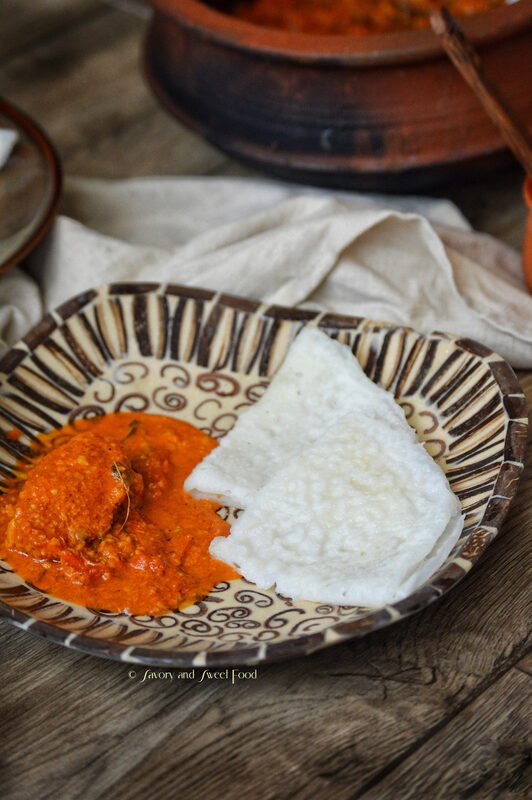 Thats fish coconut curry. Can u tell me y did d tearing happend? It must have happened either because the cooked rice was more, or water was more. I feel in your batter water was more. If you want to half the recipe, take 3/4 cup of rice flour, 1/3 cup of cooked rice and one cup water. If needed add 2 tbsp extra water.